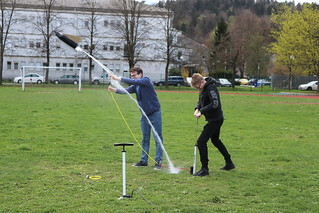 Secondary pupils at Wellington, which caters for children from 3 to 18 years old, have been involved in the mathematical and astrophysics elements of the project, designed to stretch the most able and to help them to work in multi-national, multi-lingual teams. The project partners have also chosen to co-fund the project, to allow as many pupils as possible to travel abroad. “As our pupils come from a very broad range of backgrounds, the project has to be suitable for all,” Susan explained. “Softer activities are carried out by less scientific pupils and pupils with additional support needs. Experience has shown us that inclusion in interdisciplinary projects is to the benefit of all. “Previous experience has shown that the participant base is wider on a funded activity like this than on a school trip, for example, where the costs to families can be high. The funding has also helped the schools to buy specialist equipment, to invite high quality speakers into the schools and to fund visits to universities, research centres, museums and galleries. The project supports the short-term exchange of groups of pupils with partner countries. 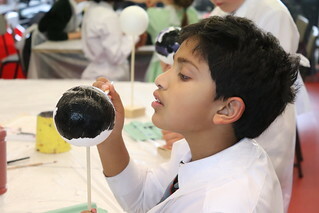 During visits, they are able to take part in a range of workshops and exciting activities, from building star wheels to understanding tides by surfing them; from designing games to addressing topics like the evolution of the universe and the interconnections between astronomy and music. 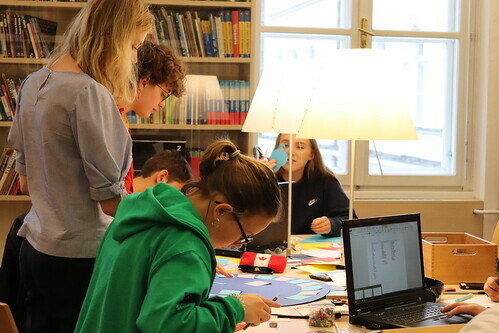 “The various activities and mobilities provide our pupils with opportunities to work together on high-quality tasks which will not only improve their scientific knowledge, but also their team-working skills, their communication competence and also allows them to have fun," said Susan. "The exposure that pupils have to different lifestyles while on mobilities is also an important part of their development. They learn that ‘different’ is not necessarily better or worse. For those who don’t travel, hosting visitors from other countries opens doors. They make friends and learn from the customs and cultures that are brought into our schools and homes. “Science is a collaborative activity with the sharing of ideas leading to new discoveries. By working together, our learners experience working in multicultural, multinational and multilingual environment at an early age. The project brings together young people from a range of socio-economic groups, including migrants, and this diversity brings added value. "Often the contact with other young Europeans is the longest lasting and most impactful consequence of Erasmus+, and it can be life-changing." Wellington pupils seem to agree that Eurostronomia has been great. 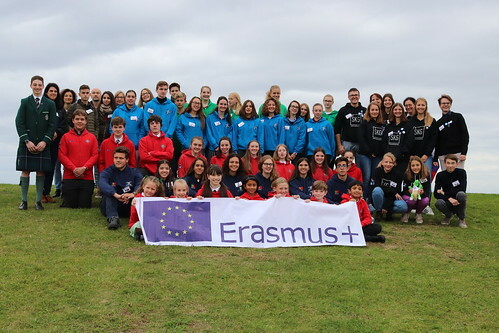 "Erasmus+ was a very eye-opening experience, seeing people from many different countries coming together as good friends rather than strangers," said Brinda Kandimalla. "I participated in the Mars Rover activity and it was really fun." Holly Bradfield said: "I made lots of friends from different countries during the week. It is really amazing to be able to make friends with people from different cultures and backgrounds." Pupils and staff are very much looking forward to visits to Macedonia and Portugal in 2019 and to Germany in 2020. Who knows where else these intergalactic pupils will travel in the future, thanks to Erasmus+! Visit our schools funding webpage to see how you can provide your school with an opportunity that's out of this world.